The SGK24G is the same as the SFK240 series except for the prestigious Sealed Burner feature to kick your cooking style a notch higher and comes with a Heavy Duty Non-Stick Griddle. The SGK24G also comes with all of Premiers' Quality features and more; for example, the Bakeview Window & Light, to check up on your baking without having to lose heat or risk getting burned. It also has Electronic Ignition System, which allows ALL burners, including the Oven, to be lit with a match in case of a power faliure. The Porcelain top makes it a whole lot easier to clean up spills and nasty messes. Please check the features tab for more information. Additional Information Bakeview Oven Door With Window and Light; 10" Backguard with Tempered Glass; Electronic Clock/Timer; Lifetime Guaranteed Top Burners. 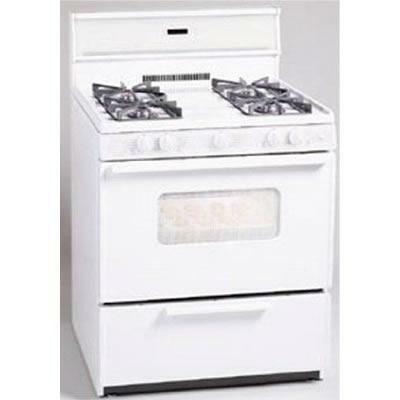 Additional Dimensions Oven Width: 25"; Oven Height:	15"; Oven Depth:	18".